The Dr. Robert K. Jabs School of Business revised and improved “Welcome Back Bash” in its semester debut Sept. 14 at the Innovator’s Auditorium in an effort to make it more than just a lecture. The format of last year, which was more similar to a panel or Q&A, was reworked to showcase everything the School of Business has to offer in a more casual environment. Dr. Natalie Winter, interim associate dean of the School of Business and associate professor of marketing, said she wanted to give people the ability to explore the different majors and concentrations on their own instead of feeling confined to one chair. 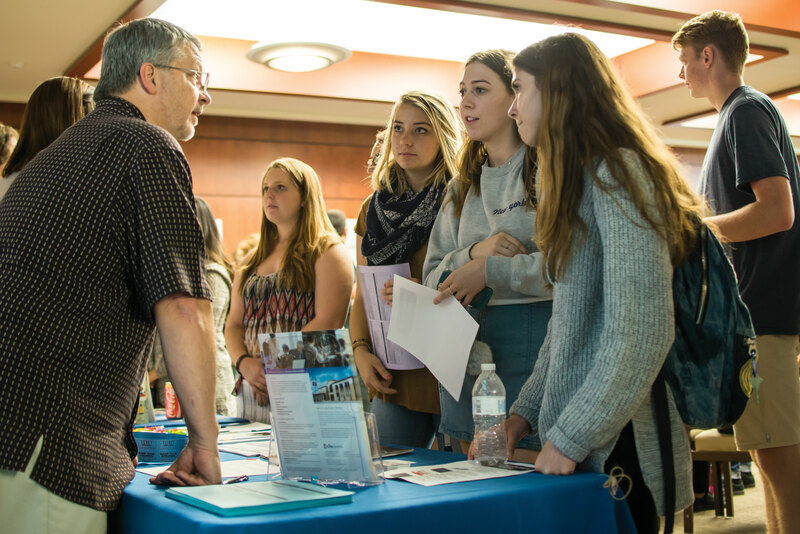 Students with majors or minors tied to the school packed the room as discussions of new courses, major concentrations and real-world applications for degrees echoed throughout the space. A professor or experienced student represented each major and concentration offered under the scope of the current catalog to answer questions. Jared Baumer, junior accounting major, said events like these also give students an opportunity to network within the program they may not otherwise get in the typical classroom setting. After each exchange at the individual tables, participants received raffle tickets for prizes ranging from gift bags to a new bicycle, which only provided further incentive for students to showcase their networking skills during the hour-long orientation event. With the Career Center also in attendance, the bash helped provide perspective on more than just time spent in class, but the time spent after graduation actually working in the field.